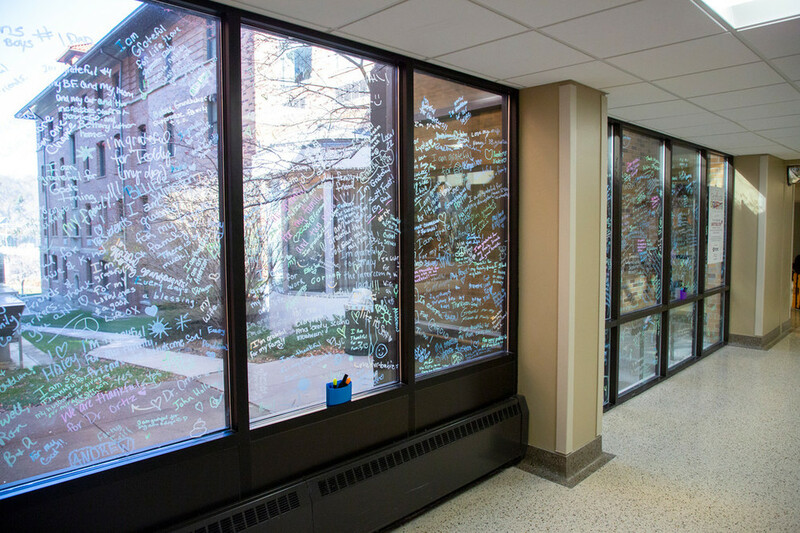 Windows at Methodist Jennie Edmundson Hospital are covered in color as employees and visitors show their gratitude with graffiti. 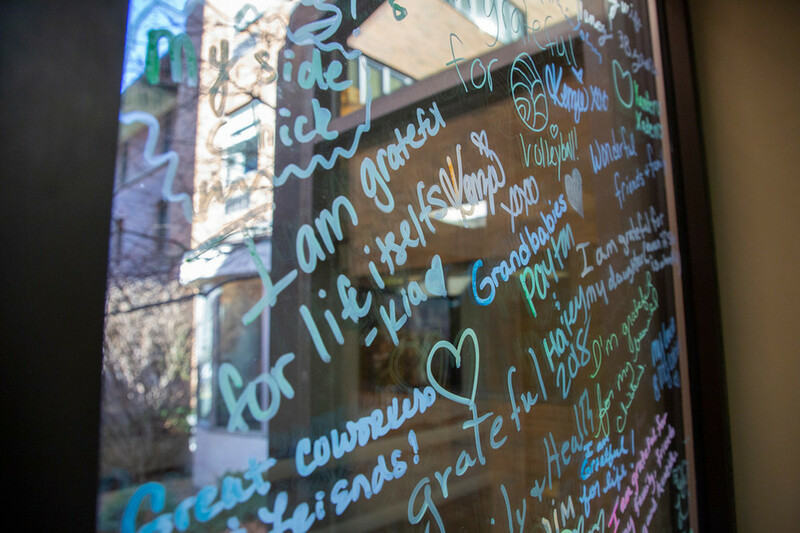 Hospital guests are invited to grab markers and write notes at the "Gratitude Stop," located between Registration and the Gift Shop. 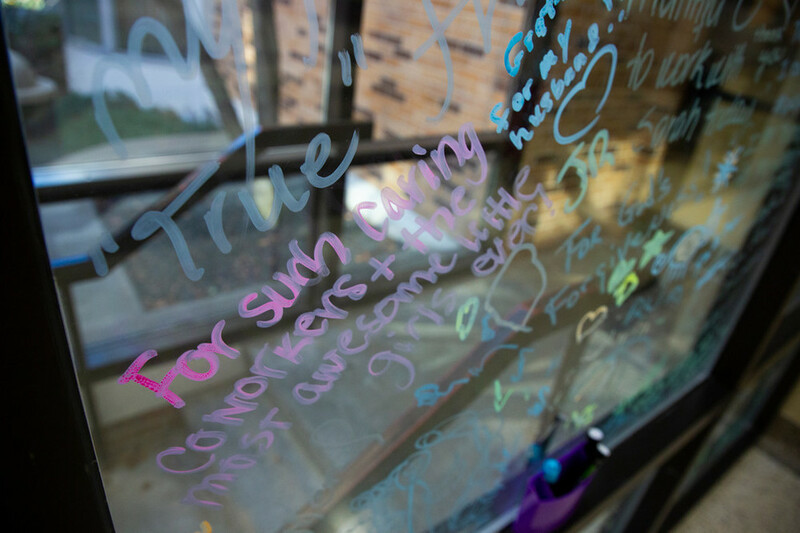 Visitors show their appreciation through the Gratitude Graffiti Project. 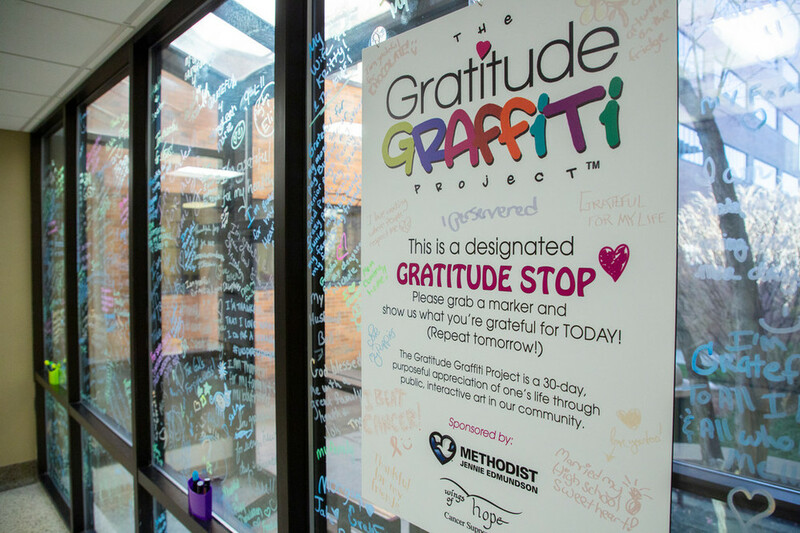 The Gratitude Graffiti Project is a 30-day, purposeful appreciation of one's life through public, interactive art in our community. The display will remain open through the end of November.